Power menu is open up when you click on the shut down option in Start Menu. It brings up the options like Shut Down, Sleep and Restart. By default hibernate option is missing from this power menu. 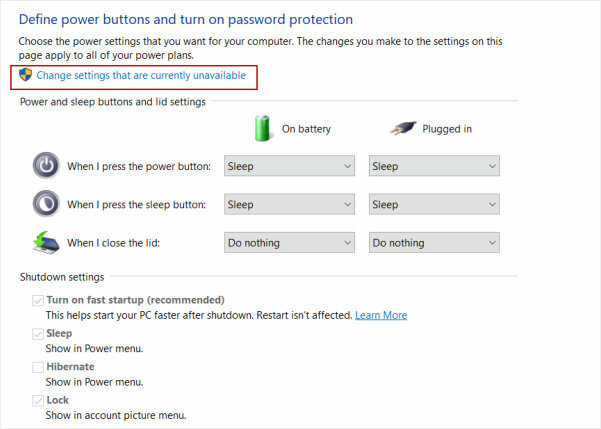 If you are a person who need frequent use of the hibernation option then you can enable the hibernate option in the power menu by following the below steps. Open Control Panel -> Hardware & Sound -> Power Options. You can also bring up this directly by typing ‘Power Options’ in the search bar. Click on the ”Choose what the power button do” option on the left menu. It will bring up the option to define the power button action. And options for Shutdown settings. By default you can see that Shutdown settings are not enabled, So you need to click on the link “Change settings that are currently unavailable” as shown in the screenshot. It will enable the Shutdown options with check box to enable or disable the options. You can enable / disable the options from here. Enable the Hibernate option and it will display the the hibernate in power menu. Now you can hibernate directly from the Power Menu. Please share your experience in the comments section.